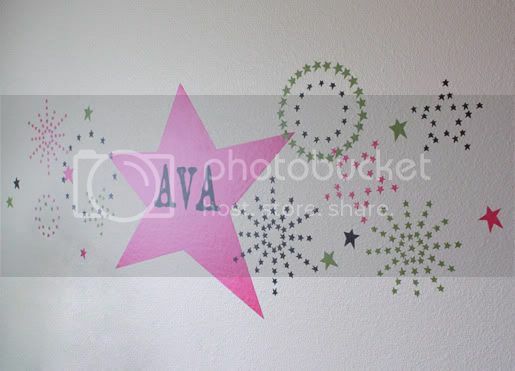 Here is a nursery for a baby girl, with hot pink, brown and lime green as the colors and a star theme. I tried a few different collages of stars, and they were pretty boring! 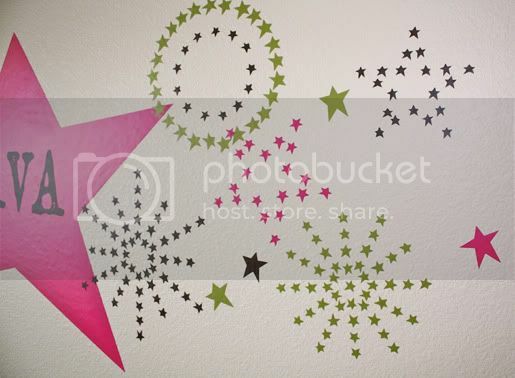 So, I saw somewhere a circle created out of smaller circles and got the idea of making a star out of smaller stars. 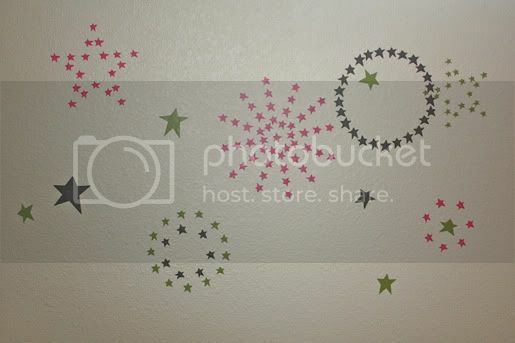 They turned out cute, but it was still a little too starry. So, I decided to try some other shapes using stars, and I love how they turned out! 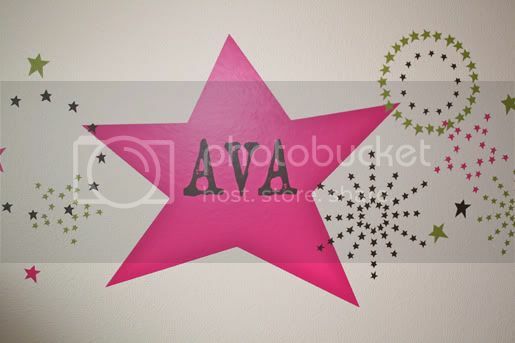 The large star comes custom with your own name choice. 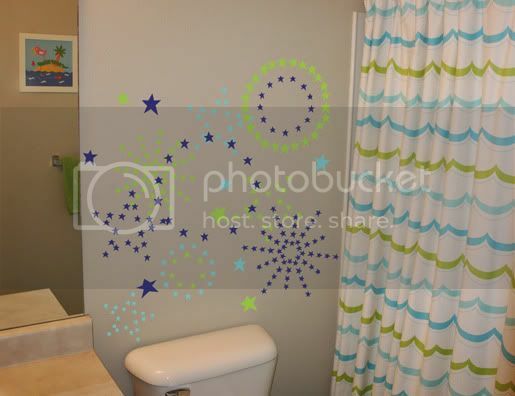 I then practiced the design in my own boys bathroom and loved it! 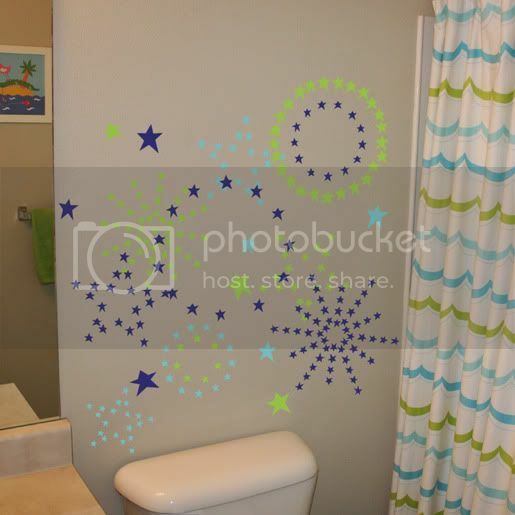 So, you don't need to use the large star if you don't want to. 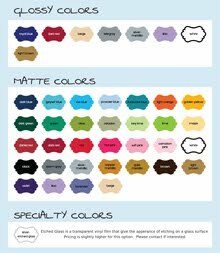 You can purchase your own Starry Design in your own color choices here in my Etsy Store.